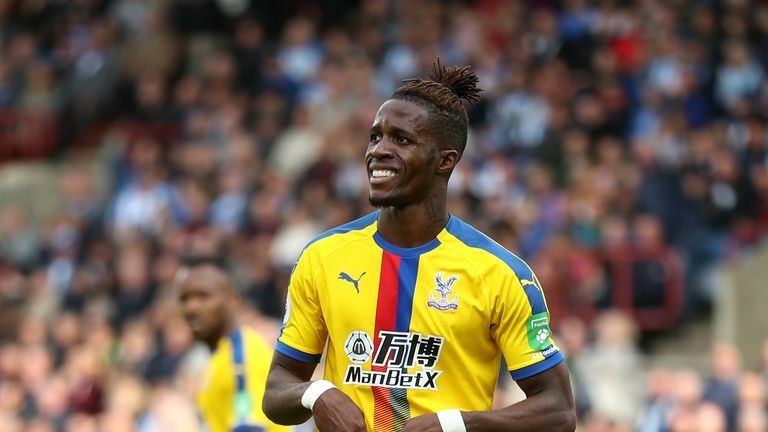 Following his match-winning contribution for Crystal Palace against Huddersfield, Zaha claimed "opponents are out to hurt me", asking for more protection from referees. "It's a difficult debate because he has been guilty of diving in the past. Rightly or wrongly, he has developed a reputation as someone who will go down too easily," Law told the Sunday Supplement. "It has now crossed over to the point where it works against him. He does get fouled, he does get rough treatment, and doesn't get the protection he deserves - part of that will be because of his reputation. "I can't remember a Premier League team who has been so reliant on one player. Chelsea can win without Hazard. 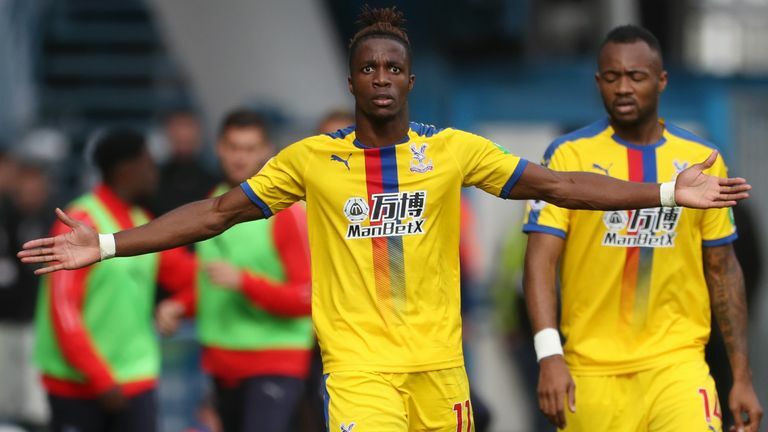 Palace can't pick up a point without Zaha - I've never known anything like it. "Therefore, teams and defenders think, 'Stop Wilfried Zaha, stop Crystal Palace', and if you injure Zaha, Palace are probably relegation candidates. "I definitely have sympathy with him. His type of player needs protecting because he will go into games and some opposition tactics will be to kick him to keep him out the game." Dominic King, the Daily Mail's north west reporter, added: "The incident with (Etienne) Capoue [in August] was despicable. He could have been out for the season, and that's been festering in his mind. It was awful. "From what I've heard, who have worked with him at Palace, he is one of the most honest and committed players. He'll play through injuries, and just wants to be out there. If he feels like he's being targeted and kicked to pieces, it will eventually come to a point where it's wearing on him. I do have sympathy." "There is something that we have to put into context. In Brazil, being a diver, sometimes it is praised. People actually demand this from some players: 'Why didn't you dive? '," Gedra said. "That's a cultural thing. Even the Brazilians are annoyed by that, not so much the diving, but don't roll over. That's what I heard so many times [at the World Cup]. "We all know Neymar gets fouled. He has been fouled his whole career. He learned to respond well in Barcelona, he wasn't like that. "Now, the thing that annoys people the most is the theatrical part, and he is paying for that already. Against El Salvador, he had contact with a defender and went down because of the contact, but he got booked for diving. "He was very annoyed after the match, because the referee booked him and smiled. In the previous match against the United States, he got fouled, and the defender said [to the referee], 'Did you see the World Cup? ', you could see his lips say that. "He's going to pay for it. He is already paying for it. Brazilians are frustrated." Law added: "One of the reasons everyone respects Lionel Messi so much, apart from his talent - I'm sure someone out there will tell me he's dived - but I can't remember ever seeing him dive. "He gets kicked to pieces. Never complains. Gets up, gets going. Not everyone has to be like that, but it shows people will really respect you if you do that. Apart from his talent, people love Messi because of that."